We like to talk to all our customers personally and every job is assigned a Customer Service Representative to make sure each job is done just as you want it. But when we close our doors and go home at night, we are still just a mouse click away. 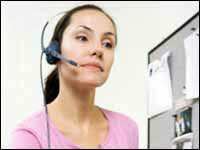 Our Customer Online Tools provides clients with 24-hour access to our services. From here you can request an estimate, place an order or transfer a file, all from the convenience of your office or home 24 hours a day. We want to make the process of doing business with Prospect as easy as possible. Call us or just click to get started. Another great way to make you life easier is to have a Customer Portal built just for you. Customer Portals allow you to set-up a catalog of your documents that you use regularly. This includes documents that have elements that change such as business cards that have different names, emails and other items. You can order your documents anytime, quickly and efficiently. If you would like to set-up a Customer Portal give Elizabeth a call at 603-256-6372 ext 280.